The grand finale to my weekend was the much anticipated Love & Rummage Trunk Show. I don’t think we realized how enticing the ‘rummage’ aspect was going to be. Everyone was so excited to scoop up the vintage fabrics, buttons, clothing, housewares and trims. 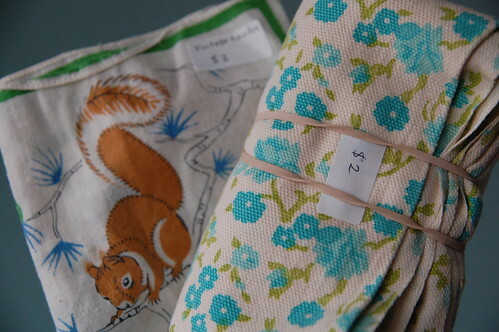 I have to admit, so was I. I got the sweetest vintage hankie with squirrels and bunnies on it and a lovely piece of vintage floral fabric from Claire. 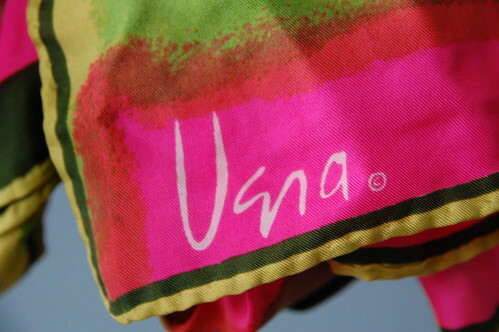 I also got a super colourful Vera scarf from Margie, which I think will bring a little spring to these last winter days and a darling grey vintage blazer from Jen. I think I now officially have a Trunk Show bunny tradition. I can’t seem to resist the bunny! 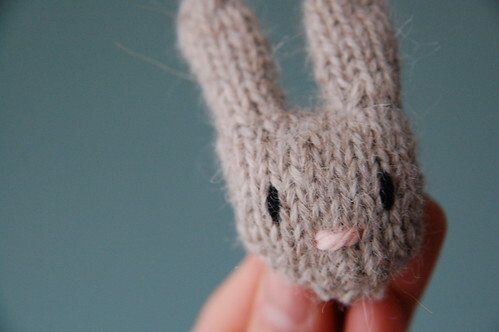 At this show I picked up one of Sarah McNeil‘s crazy cute knit bunny brooches. 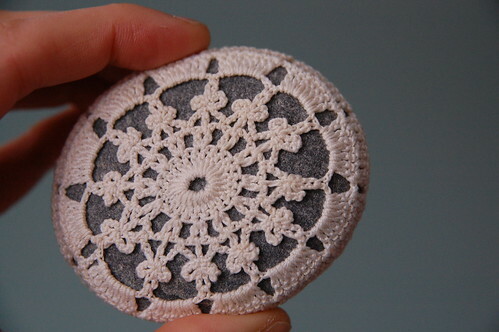 Of course, I also got one of Margie’s (Resurrection Fern) crochet sea stones. I have been coveting those stones for a very long time. We were blown away by the crowds that showed up right at noon and had a steady stream of people until we started closing up the trunks at 5pm. It was pretty incredible and exciting. We got a lot of great press for this show, including that lovely article in the Toronto Star and mentions in The National Post, BlogTO, and Toronto Life. Many of you early birds also heard me on CBC radio’s Metro Morning on Friday with Jane Hawtin. It was a live chat, so I got up at 4:30am to be in the CBC studio for 5:30am! I didn’t realize that so many people listened to the radio so early in the morning. (while I’m usually fast asleep for a few more hours) It was really wonderful to meet all the people who discovered us through these mentions. Since we never rest on our laurels over here, the end of a trunk show means the start of planning for the next one! Ooooh, Karyn, I’m so upset I missed out coming to this Trunk show (I had to attend my cousin’s baptism)! Looks like there were some great goodies to be had! I love the little bunny! I’m totally bummed that I missed it. i had way too much planned for sunday and my little “sneak away to the love and rummage sale” never came to pass. what a score that blue floral fabric is! Kyle and I are very sad we missed the show. We were hoping to get away and take a look but the new house is taking up pretty all of our time. Hopefully we’ll make it out in the spring?? I loved the show. I got one of those rocks and an acorn pendant from Old Weston that I’d been coveting forever. What’s the next Trunk Show’s theme? Karyn! I too am so sad I missed the show! Wish I could have been there, I feel like mucho dinero would have been spent. Congrats on all the media coverage!